Prices for building materials are growing, although their manufacturers are in stagnation. This state of affairs in the whole economy is called stagflation: high inflation rates, combined with a depression of business activity. As it arose on the construction market, the site “RIA Real Estate” told the general director of Tekta Group Roman Sychev. The main factor in the success of any business is the demand for its products and services, and from this point of view, matters are not important in the construction of the business. I will make a reservation that here and further I mean housing construction. The pace of housing starts is falling after the peak of 2015. Now we “get less” those square meters that could be built if in 2015 the country did not plunge into the economic crisis, which “froze” the developers’ plans. In January-July 2018, 16.4 million square meters of housing was put into operation, which is 22% less than in 2015 and 2016. Current activity of developers remains insufficiently high: 120 million square meters are being built in the country simultaneously, but, according to the HSE, the level of contractors’ orders was 59% in the first quarter of 2018. Moreover, according to Rosstat estimates, in some regions with developed construction, in particular, in the Krasnodar Territory, more than 70% of managers pointed to the lack of orders, as the main factor constraining the development of business. Of course, this situation has had serious consequences. According to the Research Institute of the Construction Materials Industry, about 5-7% of the enterprises of the industry are closed every year (about 300-400 plants and trading companies) since 2013. Sectoral profitability is negative, about 7-10%. The production of basic building materials against the background of the overall decline decreased. According to the Ministry of Industry and Trade, the volume of production of ready-mixed concrete decreased by 12%, brick – by 27%, cement – by 18%, reinforced concrete – by 32%. In recent years, we have produced only non-metallic building materials (sand, pebbles, gravel) – by 23%. Despite the apparent excess of supply of construction materials over demand, prices for basic and related construction products did not fall, and in some positions grew. So, according to Rosstat, from 2012 to 2016, brick (silicate and ceramic) went up by 13%, reinforced concrete elements – by 16%. Noticeably increased the prices for armature – by 23%. 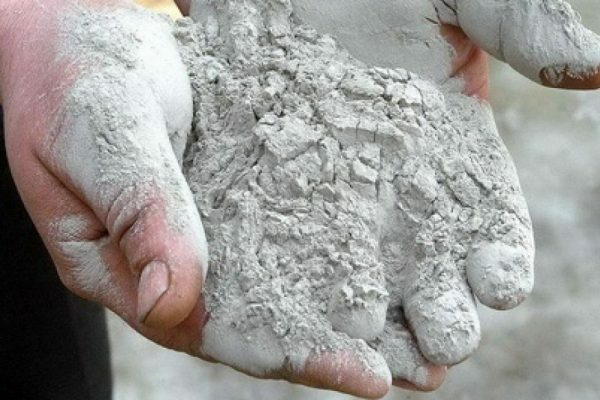 Cement increased in price slightly – by 3%, glass – by 1%. The non-metallic materials fell by 23%, as well as the concrete by 1%, that is, in fact, its value remained at the same level. Separately, I note the negative price impact of products, which are actively used in the industry, but are produced outside of it. For example, gasoline went up 32% over four years, diesel fuel – 18%, electricity – 46%, steel gas and water pipes – 38%, wires – 41%. Another important item of construction costs is engineering equipment. For example, prices for central heating radiators have increased by 34%, and for lighting – by 70%. And what is import substitution? In this context, it is important to talk about import substitution, which, of course, has its successes. In many respects, it was possible to replace windows and doors with good domestic analogues, finishing materials, paint and varnish products, and also to reduce the volume of imports of basic building materials. The total share of imports in Russian construction has been reduced to 33%. However, for some positions that may be occupied by Russian producers, imports remain and even continue to grow (for example, for air conditioners, switchboards, cables, etc.). When we talk about import substitution, it is important to understand that the final price of housing is affected not only by the materials and equipment used, but also by construction equipment that requires maintenance, spare parts replacement, purchase or payment for leasing. From this point of view, no import substitution occurs. The technique of foreign production dominates the Russian construction sites. According to Rosstat, it includes 75% of excavators, 44% of bulldozers, the share of other machines is also high. Let me summarize some of the results: the situation in the construction industry as a whole is difficult. For today among other basic branches of the economy it has extremely low profitability (about 7%). The main reason, in my opinion, is the insufficient demand for housing. According to the most conservative estimation of VCIOM, the available housing is not quite 28% of Russians (about 40 million people). In other words, the cumulative solvent demand for new buildings is insufficient to load developers, contractors and manufacturers with the maximum number of orders. Despite the steps taken in the right direction towards import substitution, the industry is still dependent on the external economic situation due to a rise in prices for related materials and equipment (fuel, electricity, machinery). It does not help to reduce the cost of construction and high creditworthiness, as well as inaccessible rates for bank financing for business, which, according to the Research Institute of the PSM, constitute over 15% per annum for small organizations that are predominant in the industry. Today, growing costs are partly taken up by developers who accumulate finance for housing construction. However, after switching to project financing, the “free” money of equity holders will be replaced by bank loans, which will lead to a new round of growth in construction costs. Improvements in the situation with incomes in villages are not yet expected, which creates greater risks for the industry.